Albert Einstein has been one of my Humanist heroes since my adolescence. However an American biography by Walter Isaacson – Genius: Einstein – His Life and Universe – gives us an opportunity to re-examine this icon. This recently re-released book was the basis of a recent TV series. 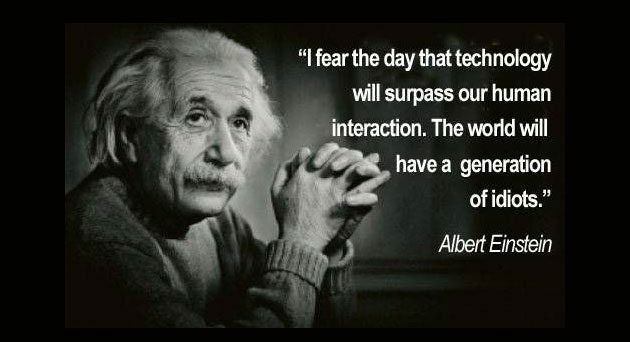 Einstein certainly didn’t believe in a personal god who intervenes in our daily lives. However he regarded himself more as a pantheist and an admirer of Spinoza in particular. This issue is examined in a particular chapter in Isaacson’s book on Einstein’s God. I believe in Spinoza’s God, who reveals himself in the lawful harmony of all that exists, but not in a God who concerns himself with the fate and doings of mankind. It was Einstein’s call to wonder at the universe and all it has to offer that first caught my imagination in my youth. In this way the pursuit of science led to a religious feeling of a special sort. I hope I can revive this wonder in myself whenever Trump, Brexit and global warming leaves me depressed. At one moment in the TV version Einstein talked about God creating the universe, but I interpret this as him talking in a very loose kind of way. Despite being a scientific genius and a leading citizen of our planet Einstein was a flawed human being and a very flawed father in particular. Our enemies always stress these flaws and Isaacson certainly does not spare us. However Einstein was incredibly young (in his early twenties) when he was thinking out his Theory of Relativity whilst at the same time becoming a father to two boys by his Serbian first wife Mileva Maric. The situation was dire. She was a liberated woman before her time, a fellow physicist longing to be his partner in research rather than looking after a baby in a foreign country (Switzerland) without any support. When Einstein’s bossy mother came to give support this only made the situation worse. The relationship was unhappy and doomed. When Einstein was finally recognised by the scientific community in Germany and moved to Berlin she remained in Switzerland with the two boys who grew up hating their father. He supported them financially, but they felt he had neglected them emotionally. Eduard became a schizophrenic in adolescence and had to be kept in an institution for the rest of his life. However schizophrenia has a genetic cause and cannot objectively be blamed on Einstein. The end of the nineteenth and the early years of the twentieth century were riveting times for science in Germany. Max Planck was evolving his ideas whilst the chemist Haber disgraced himself by inventing the poisonous gas which Germany used in the first World War. These were some of Einstein’s colleagues and peers. This makes for an interesting read. However for those of us who are not experts in theoretical physics the quarrel between Planck’s quantum mechanics and Einstein’s relativity (with its complex formulae) may pass us by. One can always skip these sections. As his adult life spanned both World Wars Einstein lived in momentous times. He was a pacifist by conviction, but this did not go down well in Germany during the first World War. Then came the terror of the Nazis. Eventually Einstein and his second wife escaped to the US where a special research unit was established for him at Princeton University. For the last 20 years of his life he became the Citizen of the World and icon that we all know and some of us love. Despite being a pacifist he advised President Roosevelt on developing the atomic bomb. To answer my own question. No Einstein would probably not have classified himself as a freethinker in the sense in which it is used in this movement. He probably would not have supported all the positions taken in the Freethinker. However he puts absolute priority on the need for all of us to think independently of established ideas. This is how he overthrew Newtonian physics. He remains a towering figure in our broader movement and this biography makes for fascinating reading. I recommend it to our readers.